‘Should we just also sit down?’, I asked my friend Frida as we stood in front of the playground stage listening to a local artist, Konni Kass, lulling everybody in with her soothing singer-songwriter pop. People in front of us were sitting down and swayed along to the music, and all around the stage people started to follow their lead. It was a beautiful sunny day, a bit unexpected seeing that we were at G! 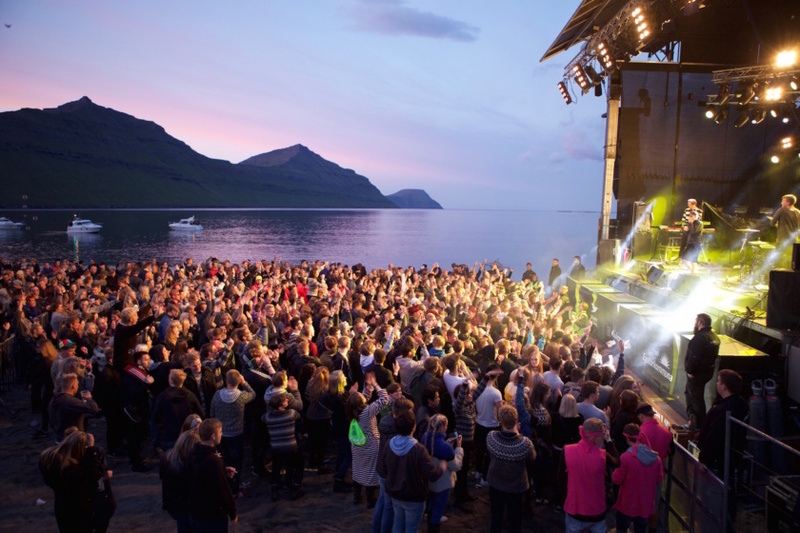 Festival way up north in the Faroe Islands. Later in the set, during the last song actually, the speed of the music suddenly picked up. Like attached to invisible strings the crowd was drawn back up in the air, and now everybody was moving towards the stage, cheering, singing a long, clapping their hands, dancing and laughing at each other. 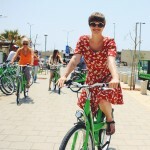 Of course we joined in as well, and danced alongside the locals and other musicians with the sun tickling our noses. Doesn’t this sound like the coolest music festival you’ve ever attended? Maybe not – maybe you need a music festival to be high energy, with lots of stages, parties and party people. Maybe, when you think about Europe’s greatest music festivals, you picture something like Tomorrowland, Glastonbury or Roskilde Festival. Having been to one of these before, and numerous other big festivals though, I’ve realised what I actually missed out on by only going to these huge events. They were so impersonal – the locations and music acts were interchangeable; if you could not get tickets for this one, just go to that one and it would be similar; it’s only fun if you come with a big group of friends and have your own camp to spend the days in. G! Festival is different. 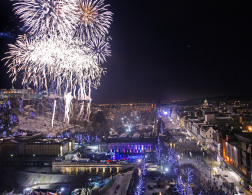 The setting is unique, the artists certainly are too, and whether you are coming here by yourself or in a group doesn’t matter – everybody makes you feel welcome here, like it is one big family. It’s the right kind of hippie atmosphere to immerse yourself in for a few days and feel like the world is peaceful for a change. 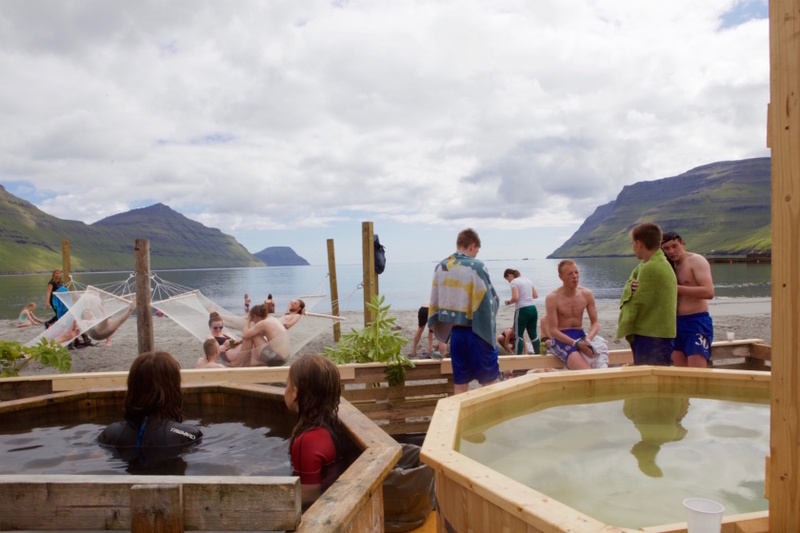 Every year around 4,500 people flock to the tiny village of Sødragøta on the Faroese island Eysturoy. 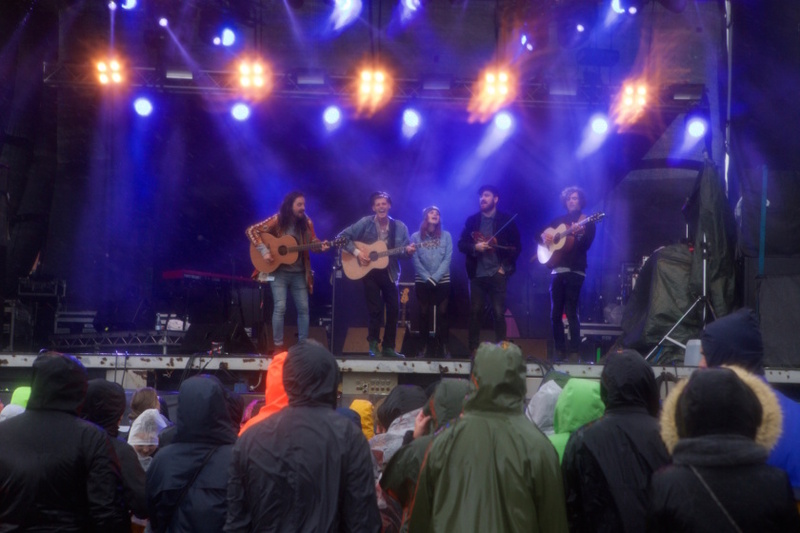 They stay for three days, or swing back and forth between the festival and their home – from the capital Torshavn it is only 45 minutes drive, so commuting is easy. ‘Gosh, I don’t even know when I went to a music festival with camping the last time…’, I say to my friend Frida as we try to find a reasonably flat spot on the large, but uneven camp site next to the sea. We had decided to go for the full festival experience, not knowing that camping during G! Festival is kind of a rite of passage for seemingly all teenagers of the islands – I don’t think I’d lean to far out of the window by saying that we were probably the oldest (and most sensible) people on that campsite. Sleeping in one of the village’s guest houses, arranging some sort of private accommodation or commuting between the festival site and your out-of-town hotel might be the more grown-up thing to do, but to heck with it, camping it was for us! There are showers available, but they are only open in the afternoon. The campsite is located about a 20-minute walk from the festival site and there is a little food truck selling breakfast, snacks and coffee all day. Top Tip: If you are a light sleeper, pack ear plugs as the party on the campsite continues all night! 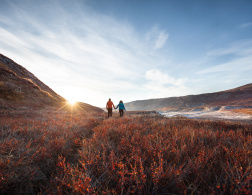 People are fairly considerate though and won’t bother you – they mostly stay within their groups or gather at the centre of the campsite. Read this: don’t camp to close to the centre! G! 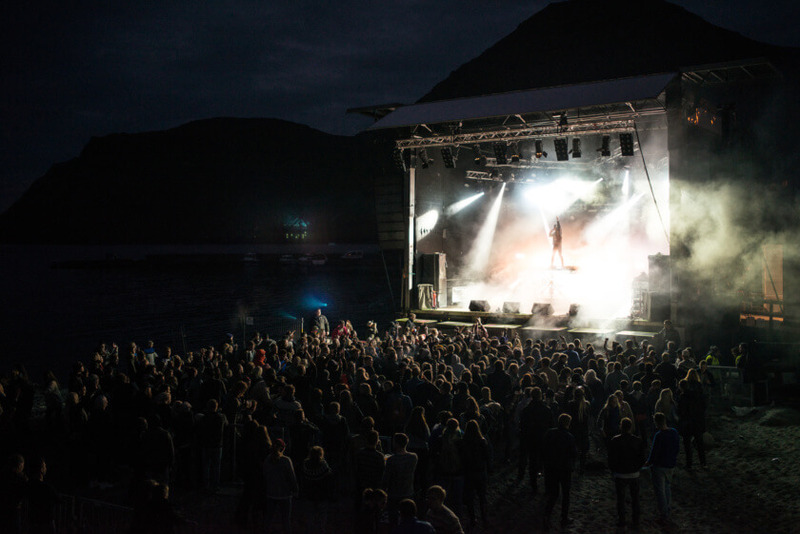 Festival has been around for 15 years now, and Sødragøta has always been its home. 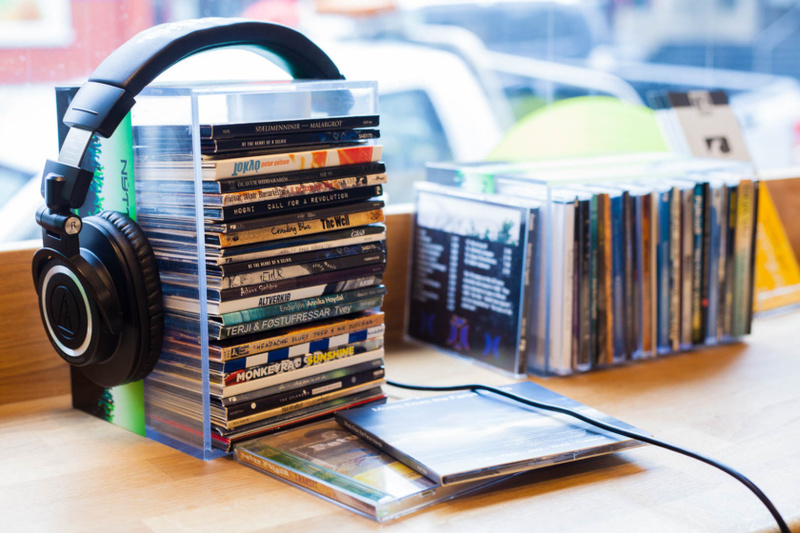 It is one of the Faroe Islands’ few music venues, the local musician, label- and record store owner Kristian Blak tells us – even though there is roughly one new record by a local Faroese artists released each week there are only 4-5 venues around the islands for rock and pop music. This lack of opportunities to play is what makes festivals like the G! Festival so important for the local music industry – also to represent the music face of the islands to the outside world. We are by far not the only media people invited by the festival to join in for the fun. 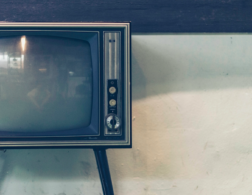 We meet journalists, photographers, producers, music managers and festival organisers from around the world, all hoping to be inspired by this unique event. And we will not leave disappointed. The artists showcasing their work is a mix of local and international acts, and I felt that the main focus is on providing a platform for Faroese musicians and bringing in some ‘exotic’ sounds from abroad to challenge the crowd’s day-to-day listening patterns. That’s how we got to enjoy a brass band from New Orleans (Hot 8 Brass Band) and a pop/rock band from Mali (Songhoy Blues) as well as the ‘Viking goddess’ Eivør, who is likely the Faroe Islands’ biggest music export and enjoys a great following in Europe and the US. In total there were 45 acts playing over the entire weekend. If you want to get a better feeling for the diversity of the tunes and sounds at G! Festival listen to their playlist on Spotify – I still put it on every time I feel nostalgic about this trip! On top of the music there were bars, food stalls, booths to shop for local music and fashion (knitwear and wellies! ), and of course beach entertainment. Brave festival guests could climb aboard a banana boat and experience the thrill of zooming across the North Atlantic in the bay – or if you were lucky enough to score a space for a sailing trip aboard the sailing boat that crisscrossed the bay as well. 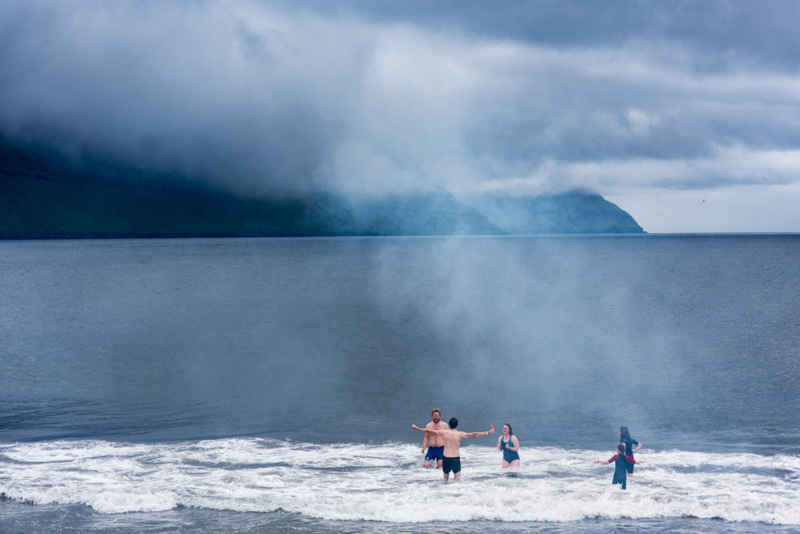 If you’d prefer to stay warm, but still wanted to get into the water, there were hot pots right on the beach, which were free to use for limited time per group! One of my favourite corners was the photo booth tucked away behind the Playground Stage where for a few coins you could get a souvenir to take home. While we were very lucky with the weather on the first day, this changed rapidly on the second, when a storm hit the bay. Never underestimate the force of nature when you’re that far up north! The rain barely weakened all day, and never was I ever more happy about having brought a great wind-proof tent with me – so many other tents at the campsite collapsed under the strong frontal winds coming from the sea – but our Heimplanet airframe tent stood strong like nothing was happening. The entertainment went on of course, and while some acts had to be moved away from the Beach Stage and others rescheduled for the next day, those who were playing managed to elevate everybody’s mood again! 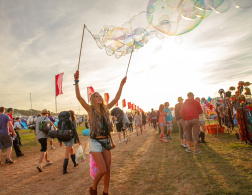 The wellies I brought from home did help as well – a must-pack item for any festival! 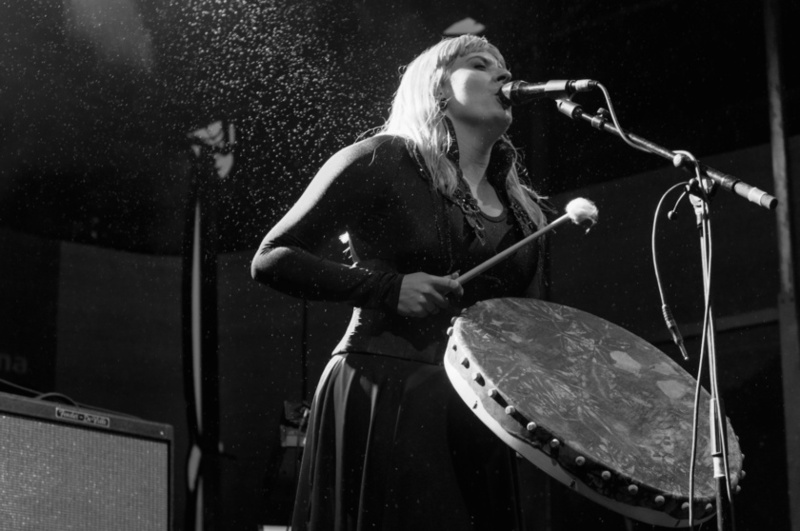 The final day of the festival was luckily considerably drier again, and with Eivør performing for her home town (she was born and raised in this little village) our festival experience received a highlight that would be hard to top by any other event in the future. Attending a music festival while traveling is always a great idea to break up the flow of sightseeing and exploring – it gives you the opportunity to wind down a bit and meet people on a very casual basis. G! 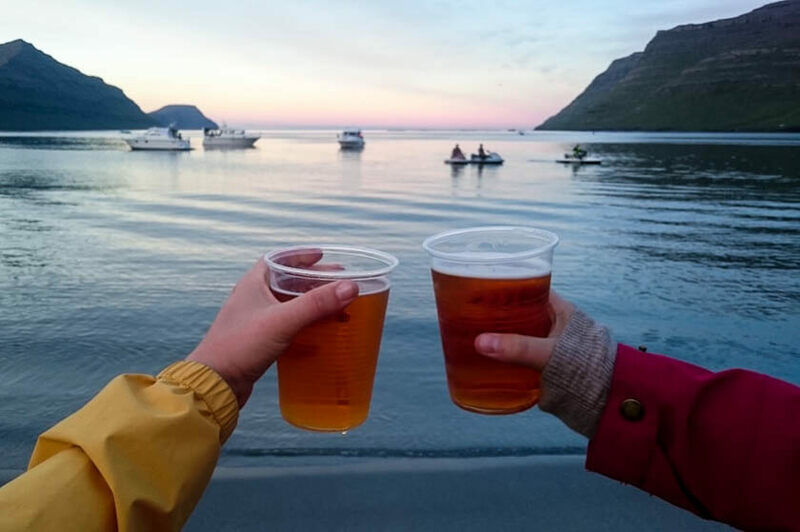 Festival enabled us to experience a very important part of modern Faroese culture – the music, the party and the beach life – close up, and we connected with locals in a way we could have never done outside of this context. The great thing about visiting a festival in such a small place was that we had the opportunity to leave the festival site whenever we wanted, take our little car out for a ride (like a day trip to the northern islands or to Saksun) and return in the evening without facing any parking space difficulties! If you ask me, G! 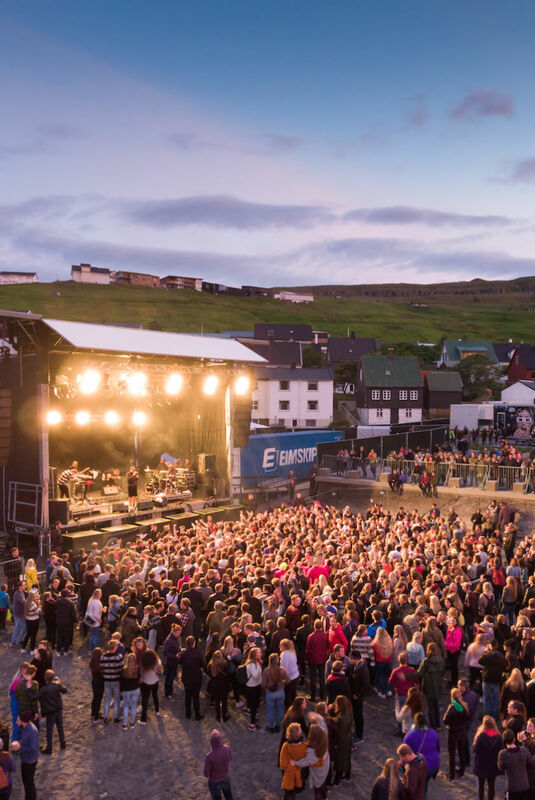 Festival is the coolest little festival I have ever attended and planning your trip to the Faroe Islands around the dates of the festival (always in mid July) would give you the chance to explore this side of the islands for yourself! 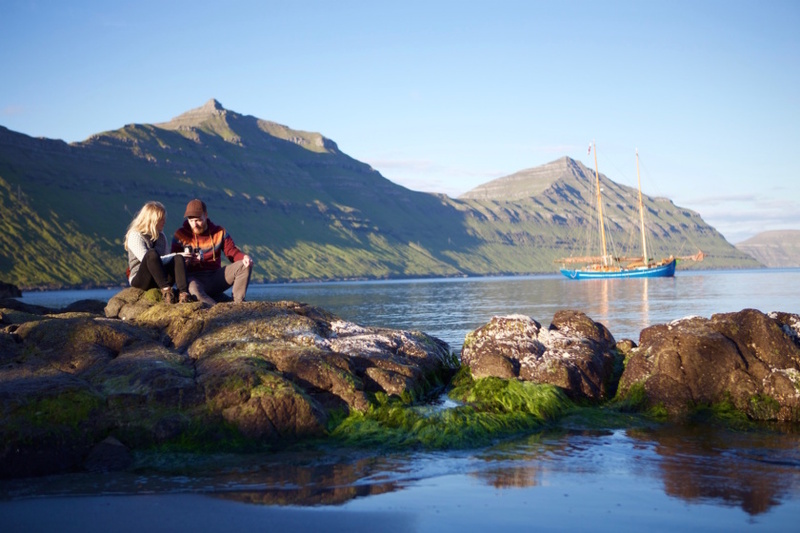 Disclaimer: This trip was supported by Visit Faroe Islands and we attended G! Festival courtesy of the festival. All opinions are of course still my own. All photos by the G! Festival photographers used with their permission. 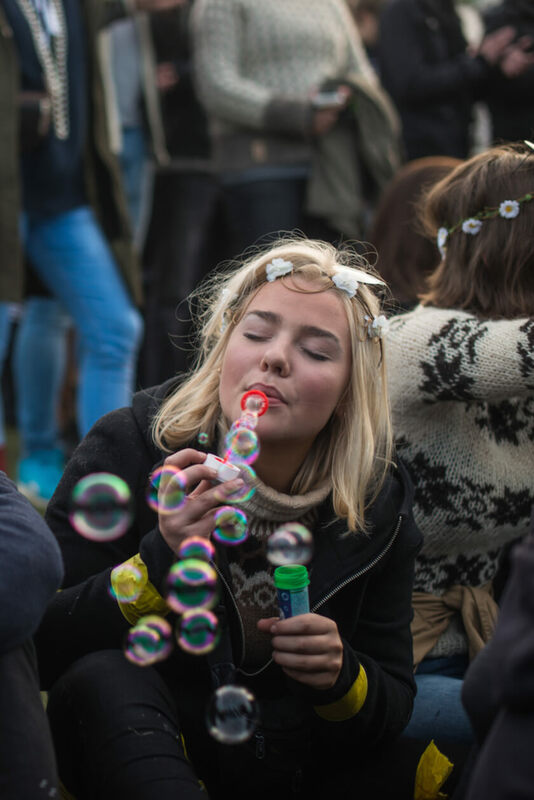 Become a Travelettes Bestival reporter! !